Hey everyone, thanks for coming back for more Monday Money! I loved the conversation we had in last week’s post, Are Credit Card Rewards Actually Free? I talked about interest, annual fees and several ways to avoid the cost of using a credit card to get rewards. But, the best part was that more and more valuable information started to be shared through the comments. So, I’m hoping to see your input at the end of today’s post which is about financial mistakes people make because their afraid of making the right decisions. “Thanks for this article! I didn’t realize the age of the account mattered (older more established accounts count for more) – that’s really important information. One of the biggest mistakes made when it comes to credit scores is using general answers in a very unique financial position. In the comment, Lindsey from Cents and Sensibility said that she is second guessing reducing her credit limit, even though having a huge credit limit freaked her out. In this unique situation, I would say reducing the credit limit is probably a good idea. Although, it may cause a slight reduction in her scores in the beginning, they definitely wont be the reason for going from excellent to good, good to fair or fair to poor credit. But, if she happens to go overboard with such a huge credit line, that can really make some drastic changes. All of that being said, one of the best things to keep in mind when it comes to your credit score is that your score is designed to be a gauge of financial stability. They are not designed to be manipulated in any way. So, if you are starting your decision making process with, “How will this change my credit score?” chances are, you are making the wrong decision. The best way to go is to ask yourself, “Will this action be a benefit to my long term financial stability?”. If you are consistently thinking about your financial stability, your credit score will do nothing but grow! Now that we’ve got that all cleared up, let’s talk about monitoring your credit. One of the things that irks me the most about rumors is that they stop people from doing positive things. I’ve talked to a lot of people that thought it would harm their credit score if they checked their credit report to often. That is not at all the case, it couldn’t be further from the truth. There are different types of credit checks. If you are asking for a loan, the request will most likely have an impact but, if you simply want to see where you stand, you are perfectly fine! Thanks again David for your comment, it’s just another source that shows that many consumers are under-informed and will hopefully make more people want to take a look at their free report! 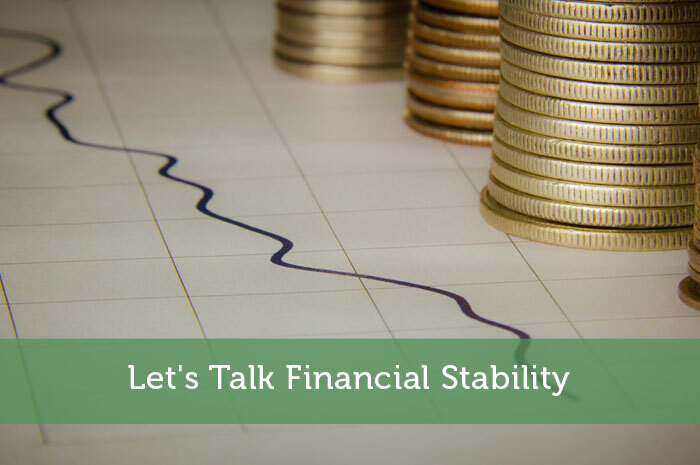 When it comes to anything financial, it’s important to think about how it will change your level of financial stability. Doing so will always help to improve your credit scores and really keep you out of hot financial waters. Also, before paying for something like credit reports, do a bit of research and see if you can get it for free! You’d be surprised out how many free resources really are out there. Great advice! We use a free credit report to check our credit at least once per year. It’s a great way to stay on top of your credit history and make sure there’s no ‘funny business’ going on. Its indeed very prudent financially to be aware of your credit score and credit history. I do believe its something more people should be aware of and act on the information, especially to improve their scores! Thanks Gaming Your Finances! Your comments are always appreciated! I know you can check all three of your credit reports for free, but can you also get the actual score free of charge? Stefanie, unfortunately, you can’t get your actual FICO score for free. The credit reporting agencies don’t come up with that. But, you can get similar scores from websites like Credit Karma that will give you a good idea of where you stand. I almost never make decisions based on what it will do for my credit score. I do put it into the equation, but it is never the main factor for a financial decision. It has worked for me for a long time, so I am going to stick with it. Hey Grayson, thanks for your comment! Sounds like you’re right on track there! It is tricky to find the really free site. There are so many fake ones that require a credit card. I do agree we need to pay attention to our credit, even if we don’t want a loan. There are just too many things that are based on a credit score. Checking your credit score yearly is a great plan – too many people charge for something they can get for free. Thanks for sharing. My pleasure Jon and thanks for your comment! On the topic of free credit reports, my favorite trick is spreading them out so that I get one from a different credit reporting agency every 4 months. That way, I know what’s changed more often than if I got all three at once. I use creditkarma to check my credit score every few weeks! It’s a free service so it’s pretty awesome. Then every few months I space out getting a free credit report from one of the 3 bureaus. It’s always a good idea to know whats going on with your credit. It’s tied to so much! Actually you can get 3 free credit reports for absolutely nothing in a year. You can schedule the reports by asking each of the credit bureaus every 4 months to send you a free credit report. Especially with the advent of the internet, greater consumer knowledge is easily achieved and competition increased for fair pricing. Great insight, Joshua. I agree with your statement that people should focus on financial stability more than manipulating your credit score. Most of these scores have twelve or more “scorecards”. Each looks at different variables, and has different weighting. Only a handful of statisticians understand how the scores actually work, so how can the average person manipulate them with any degree of confidence? Use common sense in managing your finances. Josh, great stuff here. I love how you talk about looking at your overall financial stability when making decisions. I think that’s something people often forget to do.